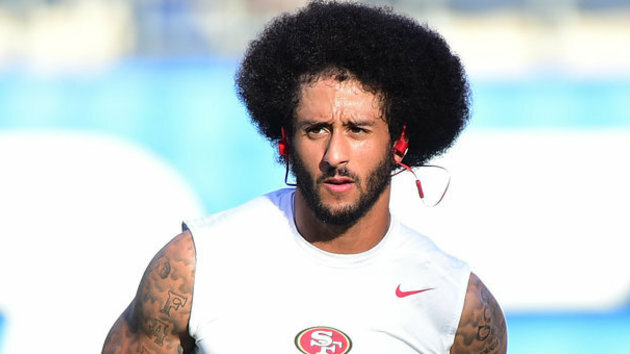 Colin Kaepernick continues his unwavering mission of donating $1 million to organizations that are working to fight oppression. As recently announced on his Instagram, the still-unsigned football player has officially donated $900K of his million dollar pledge, most recently donating $25K to DREAM, a charter school in Harlem. On Friday (Oct. 6), Kaepernick was spotted in Harlem alongside his partner, HOT 97's Nessa Nitty, where the couple was busy handing out backpacks to DREAM students and discussing topics such as activism, taking risks and advice on how to start difficult conversations. While details of Friday's sighting still remain that of speculation, with TMZ noting Kaepernick could have been secretly photographed for a story for GQ magazine, what is undeniable is how much Kaepernick is truly giving back to the community, with his time, his dedication to his causes and, of course, his monetary donations. "I was in Harlem w @nessnitty having an amazing conversation w/ the freshmen class of Dream," Kaepernick shared on Instagram. "Seeing all of your faces gave me hope and motivation we can make this world a better place. We hope you enjoy your brand new backpacks and are ready for the school year." Take a look at some highlights from Colin Kaepernick and Nessa Nitty's latest advocacy efforts below.